Commission to Provide Recommendations to Modernize New York State Laws, Protect Youth and Ensure Public Safety. Albany, NY - April 9, 2014 - Governor Andrew M. Cuomo today announced the members of the Commission on Youth, Public Safety & Justice, which will provide concrete, actionable recommendations regarding youth in New York's criminal and juvenile justice systems by the end of this calendar year. In his 2014 State of the State address, the Governor proposed establishing the commission to "Raise the Age" and help to ensure young people become productive and successful adults. New York remains one of the only two states in the nation whose age of criminal responsibility—the age at which youths are treated as adults—is just 16. As a result, in 2013, over 33,000 16- and 17-year-olds in New York had their cases handled in adult criminal court, where they are less likely to receive the services they need. Juan Cartagena, Latino Justice PRLDEF, President and General Counsel: Mr. Cartagena is President and General Counsel of LatinoJustice PRLDEF. He is a constitutional and civil rights attorney who has vast experience litigating cases on behalf of Latino and African American communities in the areas of voting rights, employment discrimination, language rights, access to public education for poor and language minority children, and housing. He formerly served as General Counsel and Vice President for Advocacy at the Community Service Society of New York. Joel Copperman, CASES, CEO & President: Joel Copperman joined CASES in 1990 as the organization's first Executive Director. Prior to joining CASES, Mr. Copperman held several positions in New York City Government during the administration of Ed Koch. Currently, Mr. Copperman is Chair of the Board of Directors of the Human Services Council; Chair of the Board of Directors of Youth Represent; and a member of the New York City Discharge Planning Collaboration. Jeremy Creelan, Jenner & Block, Partner (Co-Chair): Currently a Partner at Jenner & Block in the firm’s Litigation Department and a member of the Complex Commercial Litigation and Government Controversies and Public Policy Litigation Practices, Mr. Creelan perviously served as Deputy Director of the Democracy Program at the Brennan Center for Justice at the New York University School of Law and as Special Counsel to Governor Cuomo. His work has focused on election law, meaningful ethics reform, enhancing public protection through DNA reforms, and rebuilding community infrastructure following natural disasters. Janet DiFiore, Westchester County District Attorney: Elected as District Attorney in 2005 and re-elected in 2009, District Attorney DiFiore is the County’s chief law enforcement officer of Westchester County, New York. She previously served as an Assistant District Attorney in Westchester County for more than ten years, and as Chief of Narcotics for the last four and a half of those years. Elected as a Judge of the Westchester County Court in 1998 and as a Justice of the New York State Supreme Court in 2002, District Attorney DiFiore presided over hundreds of cases in Westchester County Court, Family Court and the New York State Supreme Court. In 2003, District Attorney DiFiore was appointed by Chief Judge Judith Kaye to serve as the Supervising Judge for the Criminal Courts in the 9th Judicial District. Soffiyah Elijah, Correctional Association of New York, Executive Director (Co-Chair): Ms. Elijah is the Executive Director of the Correctional Association of New York. An accomplished advocate, attorney, scholar and educator, Ms. Elijah is the first woman and the first person of color to lead the nearly 170-year old organization in its mission to create a fairer, more effective and humane criminal justice system. Prior to joining the staff of the Correctional Association in March 2011, Ms. Elijah served as Deputy Director and a clinical instructor at the Criminal Justice Institute at Harvard Law School. She previously practiced criminal and family law in New York City for more than 20 years and was a member of the faculty and Director and supervising attorney of the Defender Clinic at the City University of New York School of Law. Elizabeth Glazer, Director, NYC Mayor's Office of Criminal Justice: Recently appointed to serve as Director of Mayor de Blasio’s Office of Criminal Justice, Ms. Glazer previously served as Deputy Secretary for Public Safety until June 2013. Ms. Glazer has also served as the Chair of the New York State Juvenile Justice Advisory Group and held a number of senior positions at both the federal and local levels, implementing crime control and prevention strategies. Michael Hardy, National Action Network, Executive Vice President & General Counsel: Mr. Hardy is one of the Founders of the National Action Network and has been involved in Movement politics and the fight for a more perfect union since 1981. He has been a practicing attorney since 1988 and he officially assumed the position of General Counsel to the National Action Network in 2008. Melanie Hartzog, Children's Defense Fund-New York, Executive Director: Prior to assuming her leadership role at the Children’s Defense Fund, Ms. Hartzog served as Family Services Coordinator in the New York City Office of the Deputy Mayor for Health and Human Services and was also Project Director for the Young Men’s Initiative. Prior to joining the Mayor’s Office, she served as the Deputy Commissioner for early childhood services at New York City’s Administration for Children’s Services, led a social services unit in the Mayor’s Office of Management and Budget, and was Director of Policy and Advocacy for the Human Services Council of New York City, Inc.
Emily Tow Jackson, The Tow Foundation, Executive Director: Philanthropist Emily Tow Jackson is the Executive Director of her family's foundation. Under her leadership, The Tow Foundation grew more committed to solving social problems and soon emerged as a leading advocate for reforming Connecticut’s broken juvenile justice system. The foundation’s funding and advocacy efforts contributed to dramatic decreases in Connecticut’s rates of incarceration that paved the way for a major legislative change that moved sixteen- and seventeen-year-olds from the adult criminal justice system back to the juvenile justice system. Honorable Barry Kamins, New York State Unified Court System, Chief of Policy and Planning: The Hon. Barry Kamins is Chief of Policy and Planning for New York State's Unified Court System. He was appointed at the end of 2013 and, in that role, is responsible for working with judges throughout the state to study and develop policies and strategies to improve the delivery of justice in New York. In addition, Judge Kamins oversees the New York City Criminal Court. Steven Krokoff, Albany Chief of Police: Chief Krokoff was appointed Chief of Police in 2010, having risen up through the ranks from when he joined the Albany Police Department in 1993. As the leader of one of the largest police departments in New York, Chief Krokoff has taken a progressive approach to law enforcement. Under his leadership, the Albany Police Department continues to break down historical social barriers with complete dedication to a community-centered model. Joseph Mancini, Schenectady County, Director of Probation: Mr. Mancini has worked for Schenectady County in the Probation Department for over 20 years. As the Director, Mr. Mancini is responsible for the overall operations, policies and procedures, goals, and objectives of the Probation Department. He provides leadership and guidance to both Probation and DSS staff in fulfilling their roles and responsibilities in public service and the mission of the agency. He was also instrumental in the establishment of the Schenectady County Center for Juvenile Justice and has been its chief administrator since it was created in 2003. Anthony Picente, Oneida County Executive: Mr. Picente, Jr., the 10th Oneida County Executive, was unanimously appointed by the Oneida County Board of Legislators in 2006. In the fall of 2007, County Executive Picente won election to a full four year term to the seat. He previously served as Executive Assistant to then Oneida County Executive, Assistant Commissioner of Labor for New York State, and Regional Administrator for the Department of Labor. Allen Riley, Madison County Sheriff: Sheriff Allen Riley is a lifelong resident of Madison County. He has 28 years of law enforcement experience and came to the position of Sheriff after completing a career with the New York State Police. Elaine Spaull, Center for Youth, Executive Director, and Rochester City Council Member: Ms. Spaull has served as Associate Vice President at the Rochester Institute of Technology, practiced corporate and tax law at Nixon Peabody, teaches for the SUNY Buffalo Law School and RIT, and currently serves as the Executive Director at The Center for Youth. In this position, she is responsible for the administration of a youth-centered organization founded more than 30 years ago by a group of teenagers. She also serves as a member of the Rochester City Council. Cyrus Vance, Manhattan District Attorney: Mr. Vance became District Attorney of New York County on January 1, 2010. He is a recognized leader in criminal justice reform and proposed a compelling vision for moving the Manhattan District Attorney's Office forward, with a focus on crime prevention. In July 2011, Mr. Vance was elected by his peers to serve as President of the District Attorneys Association of the State of New York for the 2012 term. Mr. Vance also serves as co-chair of the New York State Permanent Commission on Sentencing. 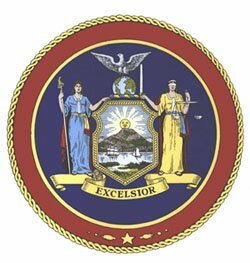 Subject: LongIsland.com - Your Name sent you Article details of "Governor Cuomo Announces Members of Commission on Youth, Public Safety & Justice"